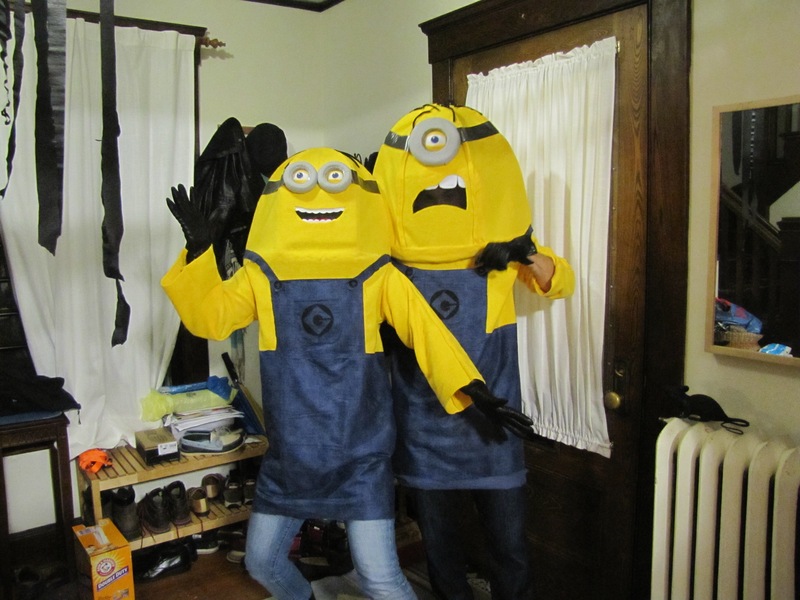 Welcome, once again to the Pragmatombeter Halloween Party. This year, we'd like to introduce you to a few new hosts. One of them is right here. Always ready to lend a hand, it's the Hamburger Helper. It looks like one of your other hosts, Milhouse Van Houten, grabbed his Radioactive Man costume from the drug store on the way over here. Where's the effort, Milhouse? 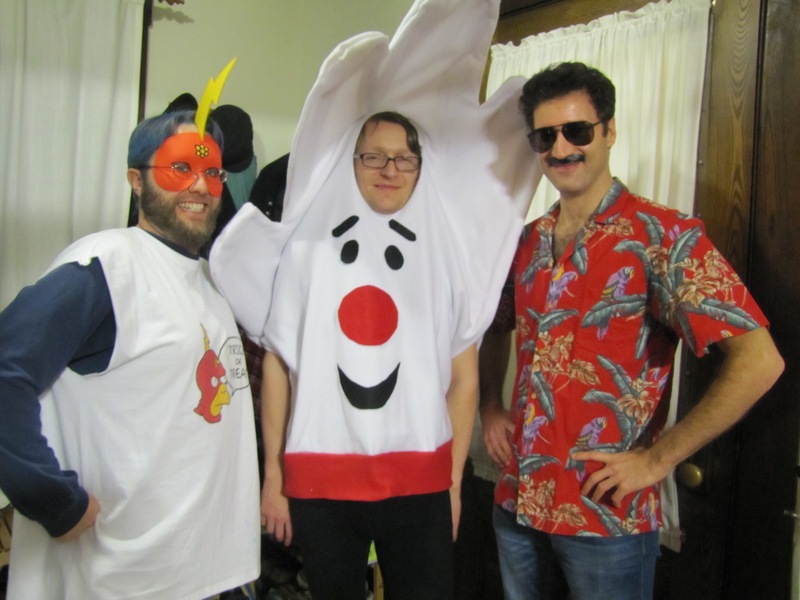 You'll never take home the Pragmatombeter Cup with a store-bought costume! Magnum, P.I. was on the case, though. He'd get to the bottom of this sub-par effort, or tan trying. Here are the rest of your hosts: A cute little Monkey who's found his way all the way the top of a Banana Tree. 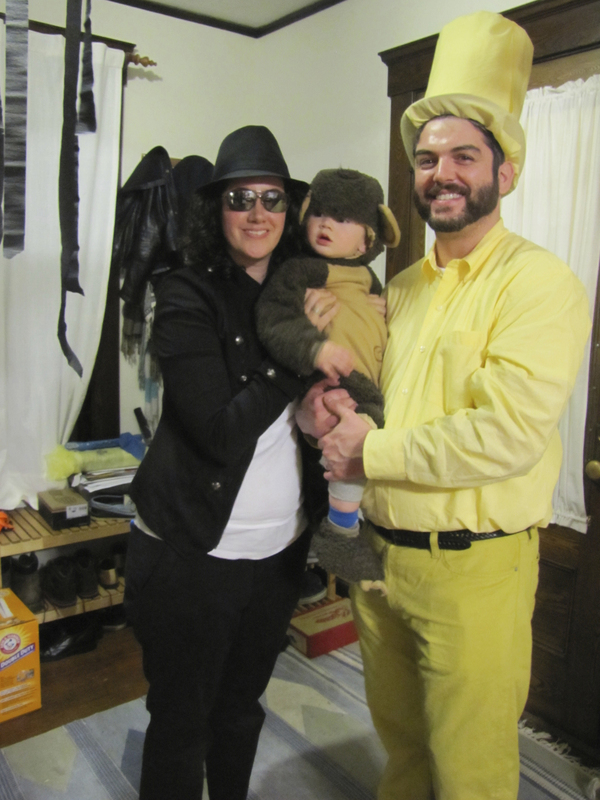 The Monkey reminds us, "Hey, Pragmates, we're in my house this year, so let's keep it clean. Also, all bananas are belong to me." Uh-oh. We're gonna need a bigger banana tree. Here comes another cute little monkey... or, is it a chimp? Actually, it's both! 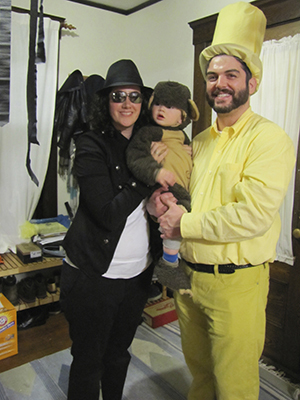 First, it's Curious George, with his friend, The Man in the Yellow Hat. Second, it's Bubbles, the Chimp longtime confidant of Michael Jackson. 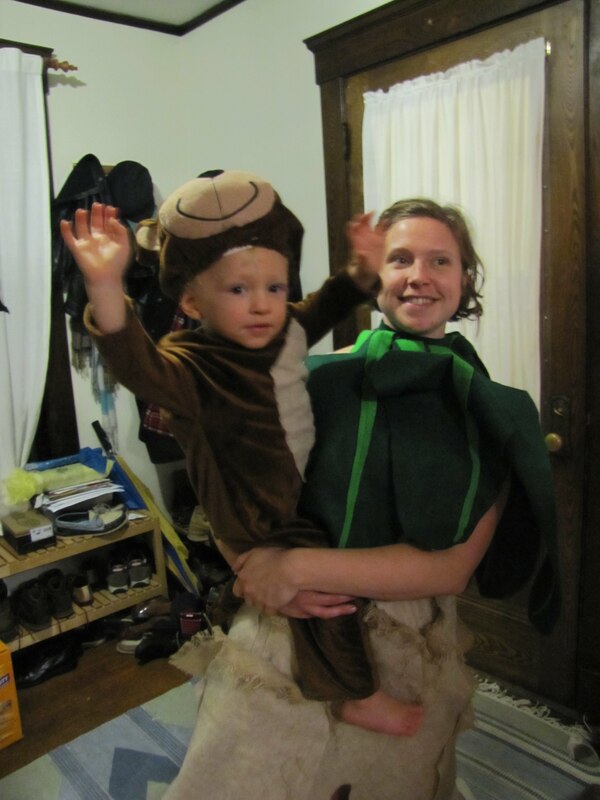 Two monkeys at one Pragmatombeter? What are the odds!? Did someone say "banana?" Clearly, this battle for bananas is going to get out out of hand, now that a couple of Minions have arrived! Here are a couple of ladies who seem to be disinterested in the whole banana rhubarb. 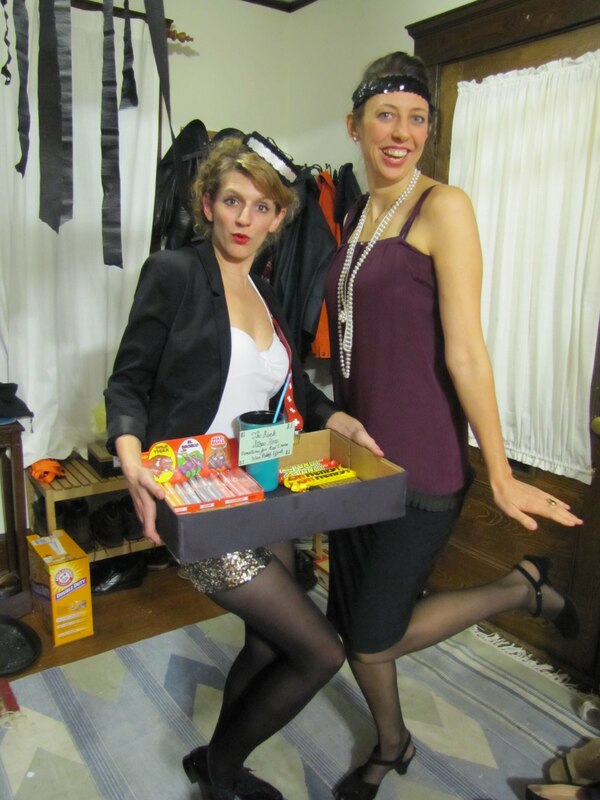 Our Cigarette Girl met up with the only Flapper at this clip joint. Both declared this drum was the the cat's pajamas. Magnum finally cracked the case! 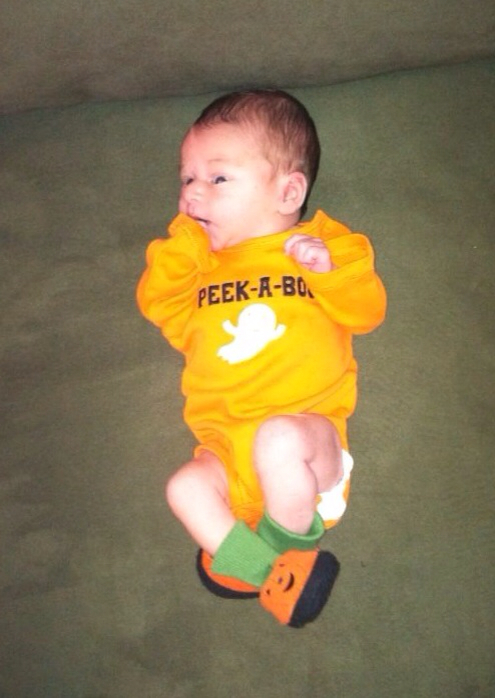 It seems Milhouse was distracted by this Little Guy, which is why he ended up with a dime store costume. Even the little guy knew, Radioactive Man wouldn't wear a smock with a picture of himself on it. Even on Halloween. 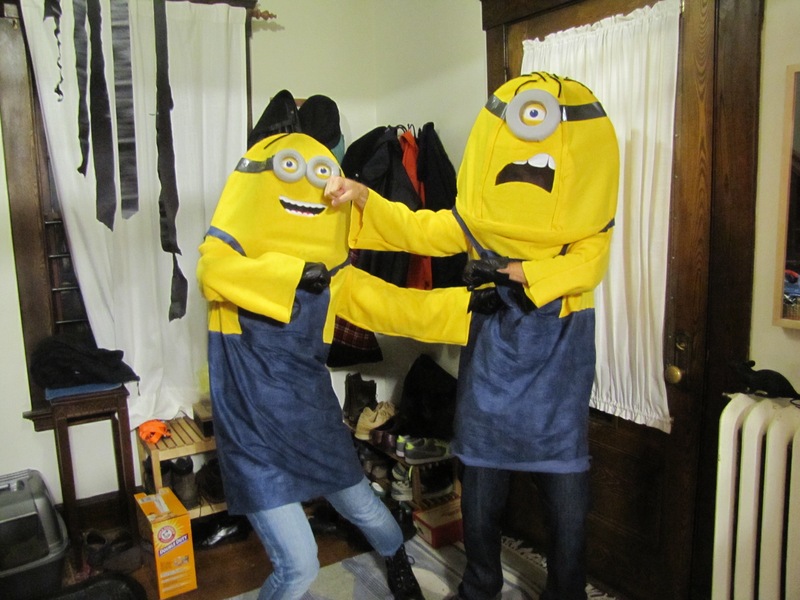 Well, they didn't end up with the bananas, but these Minions did win the Pragmatombeter Cup. I'm not sure they were convinced that was the better prize. Oh, well. Happy Halloween!